The University of Cape Town’s Health through Physical Activity, Lifestyle and Sport (HPALS) Research Centre leads all scientific research conducted at the Sports Science Institute of SA. Within HPALS, UCT’s Division of Exercise Science and Sports Medicine (ESSM) trains postgraduate students in Biokinetics, Exercise Science and Sport and Exercise Medicine. Students at ESSM are enrolled in postgraduate (Honours, Masters or PhD) degrees in Biokinetics, Exercise Science, Sport and Exercise Medicine and other Biological Sciences. In addition, the staff at ESSM also teach on the Medicine, Sports Physiotherapy, Sports Management and Physiology courses offered by the University of Cape Town. The HPALS Research Centre seeks to optimize human performance and to promote health and well-being, addressing the growing pandemics of obesity and inactivity, reducing the burden of disease and injury, through physical activity and sports participation. On 27th November the Healthy Active Kids South Africa (HAKSA) 2018 Report Card launched – this is the 5th such Report Card since 2007 for South Africa. South Africa joins 48 other countries in producing such a Report Card as part of the Global Matrix 3.0 for for Children and Youth, led by the Active Healthy Kids Global Alliance. What is the Healthy Active Kids South Africa 2018 Report Card? The HAKSA 2018 Report Card reports on the most recent and best available research evidence relating to the physical activity and nutrition of South African children and adolescents (3-18 years old). Grades are given for a range of indicators that tell us how well our children and adolescents are doing in these categories. These indicators include health behaviours as well as environmental factors that influence these behaviours. 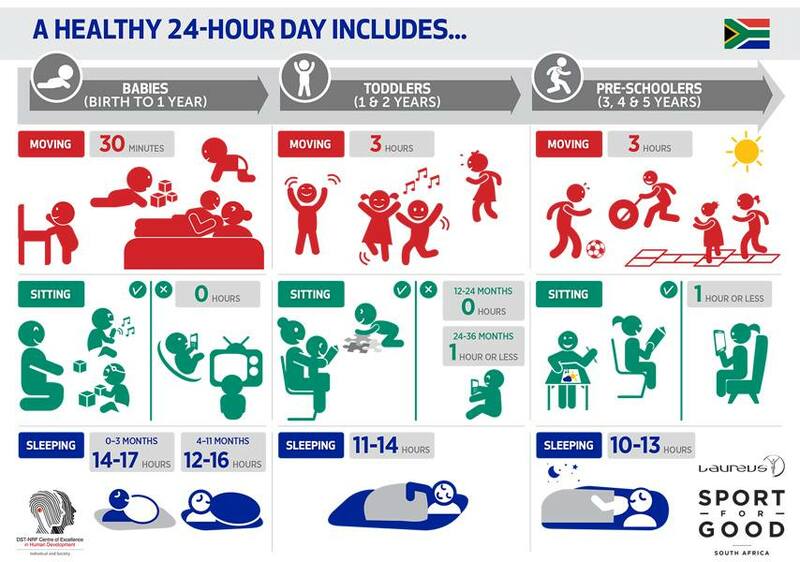 View the latest guidelines on physical activity, sitting behaviour, screen time and sleep for children.